This tiny bus is fitted with this type of wheel for which I do not know the name. Can some one let me know haw these wheels are called in english. They are not Soeedwheels. Jacques. 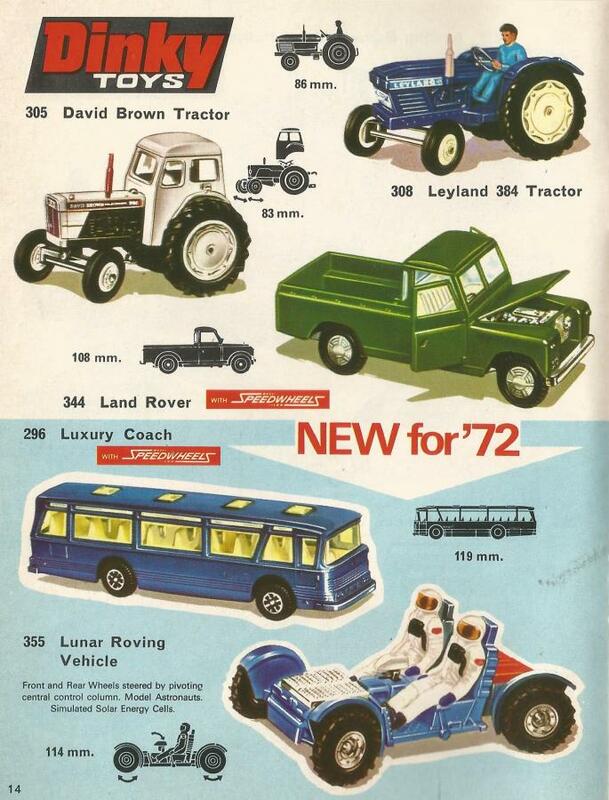 In the DT catalogue UK of June 1972 296 Luxury Coach is announced as "New for '72" with the designation "with speedwheels". In TMT on November 20, 2007 you showed an excellent overview of 119 different Dinky Toys wheels. 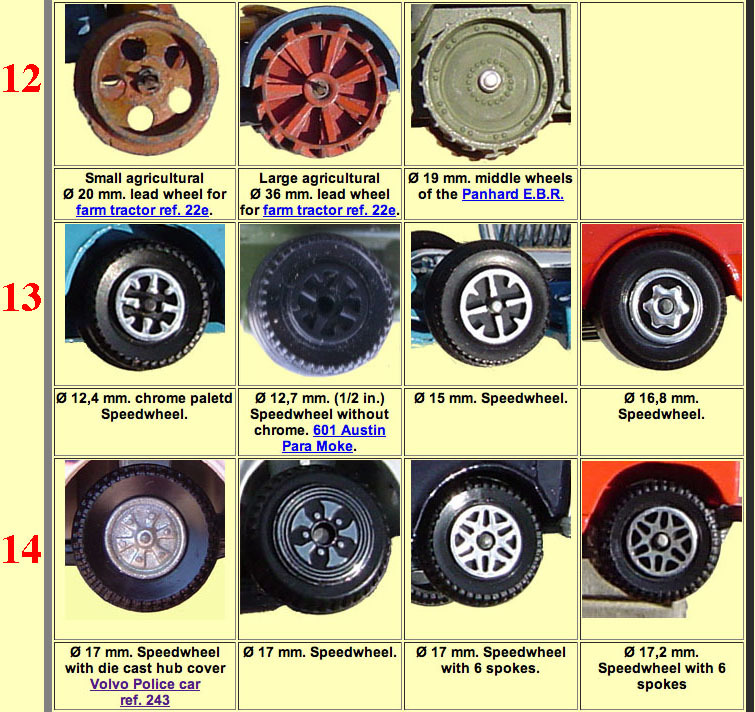 I hereby add a photograph of number 13 of that overview where the same type of wheel as in your question is depicted and which you name as "chrome plated speedwheel". This is what I can contribute to your question. I think that the tradename Speedwheel applies to the type of axle rather than to the wheels. You are right to say that "Speedwheels" refers to the type of axle rather then a style of wheel, since "Speedwheels" models exist that had realistic cast wheels and tyres. 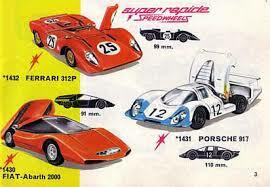 Examples that come to mind include the English Ford Capri #165, first version, and the French #1432 Ferarri 312P. 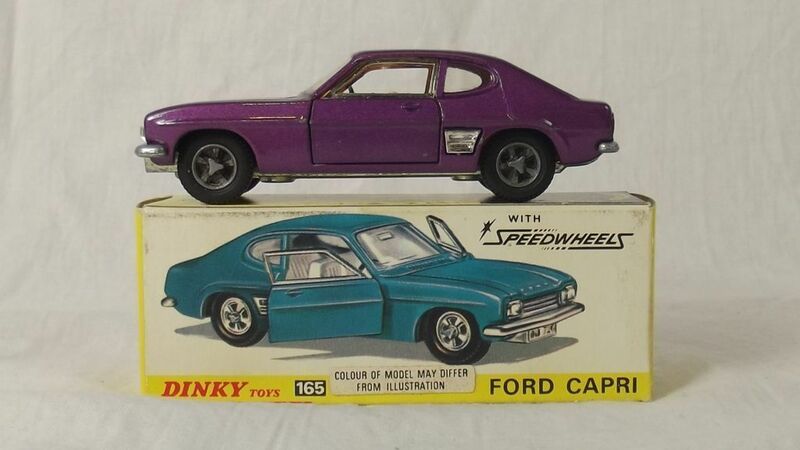 I believe the rather nice wheels (sometimes partially painted black) on the Capri are the same ones as used on the Jensen FF, which had "fingertip steering" rather than the Speedwheels axles. I have called this type of wheels : "solid platic wheels" I hope that this describes them well.